Hope you are all having a good week? Next week I plan to share with you my teaching experience in Westminster, London but today I wanted to let you know about the new landscape kit that is now available for sale in my Etsy store. I have received numerous requests for landscape designs over the last few years, but to be honest could not find the right artwork to translate into embroidery. A few months ago I came across the art of Louise Marion. Louise is a French Canadian artist who paints vibrant, colourist expressionism art – just what I was looking for. You can see some of her artwork on my Pinterest board. It took a little persuasion but finally Louise gave me permission to use some of her paintings and I got down to designing and stitching. This was something quite different to what I normally do and it was an absolute joy to stitch – each aspect of the design came alive in front of my eyes, motivating me to keep stitching till complete. The energy of her work and little details she includes had the effect of lifting one’s spirits whilst stitching – it really was very gratifying! Thank you Louise for allowing us to use your beautiful art. Here is the first of the designs – Provencal. The design is a miniature approx 11 x 11cm and is stitched on our gorgeous new premium linen from Germany which has a very close weave. It uses numerous thread colours but they are all DMC stranded cotton so you will have no problem sourcing the thread. I plan to add a second design soon, so that they could be framed as a pair, or individually if wanted. The new German linen is now available for sale in the Etsy store here – after many years of trying to source the right linen I have found it and it is lovely to stitch on. 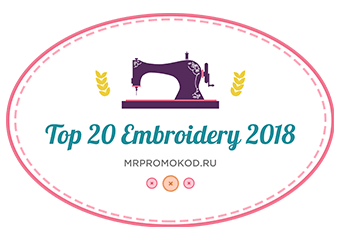 It is manufactured on the old style looms so has that very close weave that we always look for in a good surface embroidery linen, and therefore can be used for Needlepainting, Whitework, miniatures or any other type of embroidery. It is sold by the half metre and is 160cm wide so one piece will cater for at least 4 large embroideries or several smaller ones. The Southern Belle muslin is also back in stock, although I am having problems sourcing the original quality of the fabric and so it may be discontinued/replaced in the near future. If the thread pack for the kit you require is out of stock I recommend that you purchase a skein of white/grey floche together with your kit. This will suffice for at least two kits. All other threads used in the Shades of Whitework kits are DMC stranded cotton, in fact the full design can be stitching using DMC substitutes if required – there are instructions in the booklet. It is not always possible to keep stock of the thread packs for sale but I have listed the threads needed for each design so that you can see what is needed when you place your order. Dear Trish, I like the lovely colours. And I welcome the change. Nothing wrong with it. The results are beautiful. Trish – In order to really succeed, you need to create your own designs for embroidery. Please don’t take others’ art work and make it your own. What? “In order to really succeed” … What on earth is meant by that comment? I think Trish is one of the most respected, knowledgeable, and ethical needlepainting artists alive. She has already succeeded because of all these things. She might begin with an inspiration (that is used legally and with permission), but her interpretation of it using needle and thread is phenomenal. Your embroidery pieces is amazing! If I buy 2 pieces of 100% Cotton Muslin Fabric @ R100.00 per pieceâ¦could you supply it in 1 piece for me â¦as one by 1.2 meter piece?